Kanagawa has Minatomirai, Chinatown, Kamakura, Hakone, Shonan and so on. Kanagawa not only has history but it is located near the sea and you can get in touch with nature. There are many attractive sightseeing spots. The access is good from Tokyo and you can easily go. Why not try going? At this article, we will introduce the event which will be held on January in Kanagawa. Tsurigaoka hachiman gu is a shrine to represent Kamakura and it is a popular spot for sightseeing. 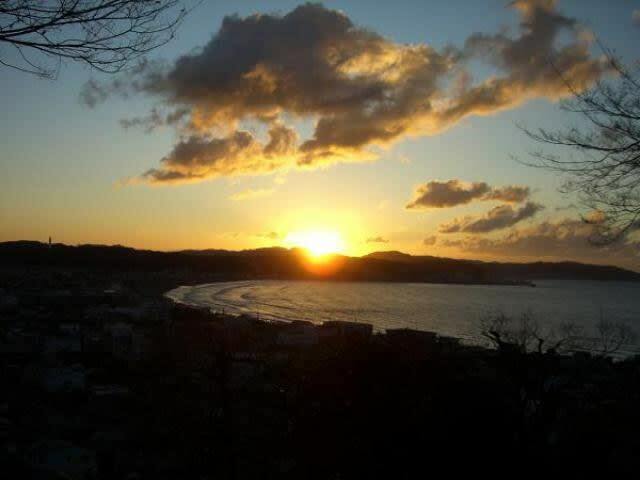 Kamakura used to be the center of Japan. Yoritomo Minamoto, the first general, has deep connection and worshipped as the protection of God. 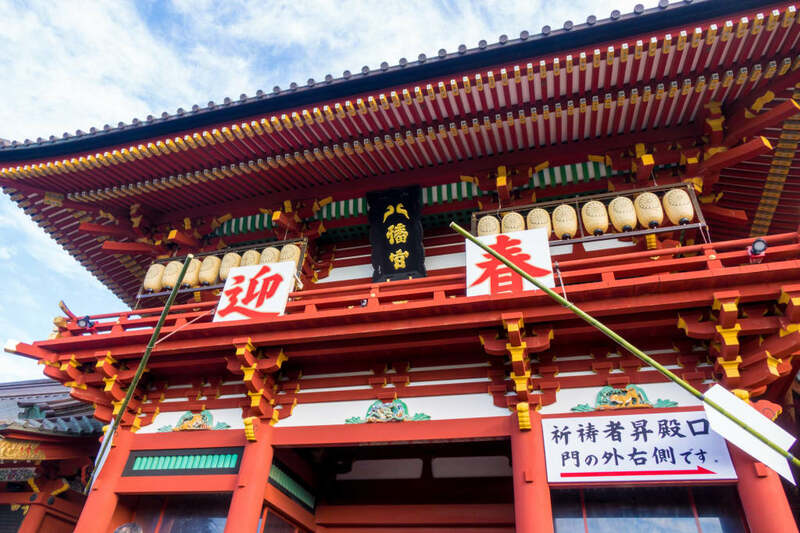 Recently, to share Yoritomo Minamoto’s good luck, it is famous for favored luck and business fortune power spot. On 1st, Jan., 0 o’clock, the gate for worship opens and many people go to main shrine for new New Year’s praying. On AM 5 o’clock, the New Year festival called “Saitansai”, which is held at imperial court and shrine all over Japan, will be held. Inside the shrine, the place where many people will get Hamaya and amulet become crowded. There is Tsurigaoka hachiman treasure house to introduce the ancient treasures, handed down to Tsurigaoka hachiman gu. Near the shrine, there is Kiyotaka Kaburagi memorial art museum in the space where the Japanese art great master Kiyotaka Kaburagi used to live. There is also Kamakura treasure house, which has many work of art are exhibitions and you can learn Kamakura history. How about also visiting here? JR Yokosuka line, Enoshima dentesu, “Kamakura station”. Walk 10 minutes. Hasedera has one of the biggest wooden 11faces kannon statues. You can see the first sunrise of New Year here. 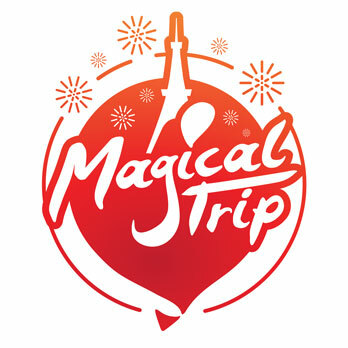 From 31st Dec., 23 o’clock to 1st Jan., am 8 o’clock, entrance fee become free and the gate is open for full night. From the lookout, you can watch the amazing first sunrise of the year. The first sunrise watching from temple will increase more divine atmosphere!? Hasedera is familiar as “flower temple” to enjoy Kamakura full year. At main temple, there is 11 faces kannon bosatsu. It is 9.18m and one of the biggest wooden sculpture in Japan. If you like buddhaa, why don’t you check it? In addition, as Bando kannon reijyo, Hasedera is an historic old temple and has been worshipped from ancient times. At a shiny day, you can watch through Mt. Fuji and Suruga bay from Hakone Komagatake ropeway. Komagatake ropeway is a grand walk of the sky for 7 minutes, 1,800m hight. It goes on the mountain, beautiful for Alpine plant. If the weather is good, from the top of the mountain, you can see the whole Hakone including Ashinoko. The great Mt. Fuji, Suruga bay, Miura peninsula and so on are also enjoyable as panorama. At the top of the mountain, there are observatory, Hakone gengu and big plaza. 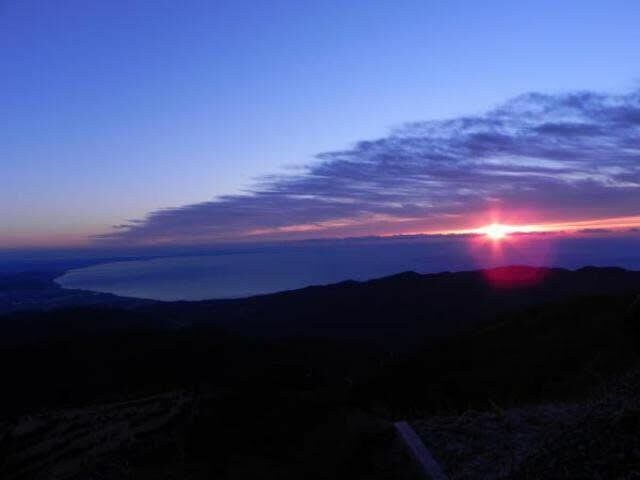 This Hakone Komagatake ropeway is open on 1st, Jan., for the first sunrise of New Year. Let’s try watching the first sunrise. As it’s new year’s day, it’s also good to worship Hakone gengu, located in the top of Komagatake. At this day, heat pack is distributed for first come, first served. Let’s is it to get heated. From Tomei highway “Atsugi IC”. About 1 hour and 5 minutes by car. 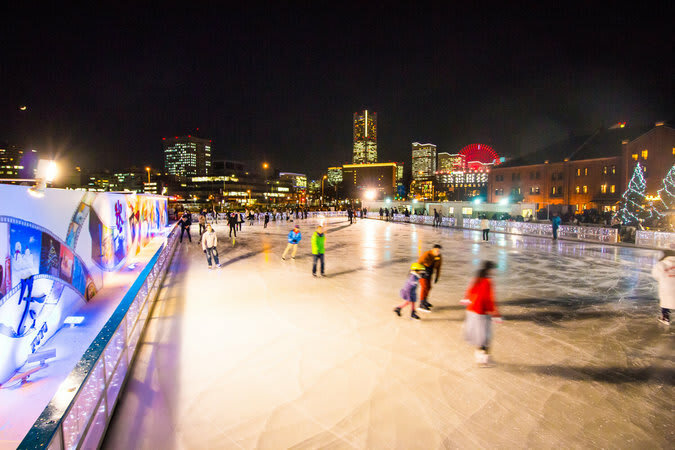 “Art Rink in Yokohama Red Brick Warehouse” has started it’s event since 2005 as winter event of “Yokohama Red Brick Warehouse”. Every year, you can enjoy art space by many artists and ice skating collaboration. This event will be 13 times seasons this year. In addition to the art, performed by many artists and ice skating collaboration, on this season, Yokohama Hayato junior and highschool art club students are invited as artists. “Art on ice” will be the theme. With the animals which are painted on National treasure art and animal art (chojugiga), you can enjoy ice skating at historical building Yokohama Red Brick Warehouse. Minatomirai line “Bashamichi station”・”Nihon ohdori”. About 6 minutes. JR Negishi line・Yokohama city metro “Sakuragicho station”, “Kannai station”. About 15 minutes. Yokohama station. Minatomirai line. About 15 minutes. Entrance fee/ Adult（over high school student) 500yen, Child（Elementary and junior high school student) 400yen, Kids（over 3 years old) 300yen, Attendance fee 200 yen, Rental shoes 500yen, coin locker from 100 yen. 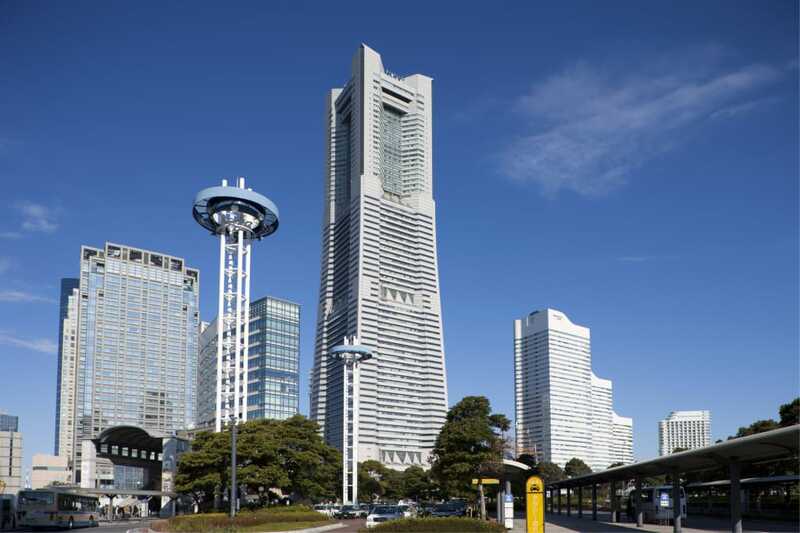 As a skyscraper, Yokohama land mark tower is the 2nd highest building in Japan. Usually, the emergency stairs and closed but there is a event to use it and challenge climbing up from ground floor to 69 floor about 1500 steps. With reading interesting “3033 stairs stickers” go up with your pace. After going to the top, the credit for climbing up will be issued. As a collaboration event, “Mitubishi Minatomirai technology center stump rally” is also held. By completing stump rally, you can get joining award and challenge lottery. It is a good opportunity to enjoy Yokohama landmark tower for different aspects. Why don’t you try it? You might get refreshed after climbing up. 10:00～17:00（last appreciation/15:00）　※open also in a rainy day. JR Negishi line, “Sakuragicho”. With moving walkway, 5 minutes walk. Apply by telephone on the day.